The African Union has called on all its member states to urgently lift all travel bans imposed on countries affected by the Ebola outbreak in Africa. The AU has also called on member states to respect the principles of free movement and urge that any travel-related measures should be in line with World Health Organization (WHO) and International Civil Aviation Organization (ICAO) recommendations, which supports proper exit and entry screening procedures at airports, seaports and land crossings instead of travel bans and border closures. 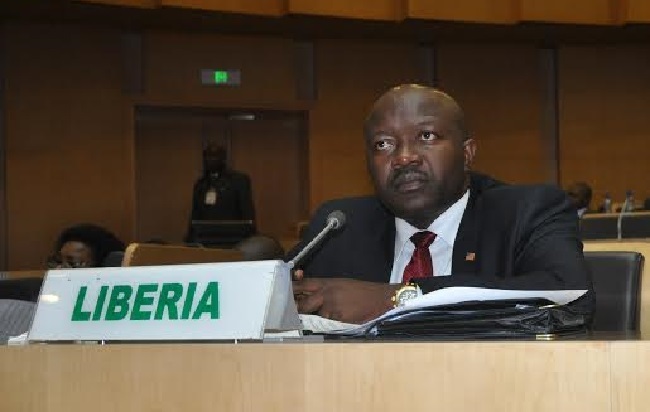 According to a Liberian Foreign Ministry dispatch from Ethiopia, the AU at an Emergency Meeting of its Executive Council on the Ebola Virus Disease (EVD) Outbreak held at the Nelson Mandela Conference Hall in the capital Addis Ababa, on Tuesday, also decided to take all necessary steps for the rapid establishment of an African Center for Disease Control and encourages ongoing scientific researches on the use of serums and vaccines. The AU said it is also working closely with member states, international and national organizations, and African partners with a view to mobilizing adequate resources to respond to the EVD crisis in the spirit of African solidarity and global approach. The decision by the AU Executive Council followed earlier presentations made by the foreign ministers of Liberia, Guinea and Sierra Leone, the three countries worse hit by Ebola. In his presentation, Liberia’s Foreign Minister Augustine Kpehe Ngafuan told African foreign ministers and ministers of health at the meeting that the continent runs the risk of creating a legacy of blanket stigmatization and unnecessary restrictions based on the action of some member states against countries currently affected by the Ebola Virus Disease. Minister Ngafuan said the action by these member states, if not urgently reconsidered would be tantamount to “unwittingly writing a dangerous prescription for how countries on our continent should be treated whenever they get afflicted with any public health challenge in the future. ”It is this grim possibility that we all, as African nations, must avoid by revisiting all measures that are not consistent with expert advice but only fly in the face of African solidarity and integration” the Liberian Foreign Minister stressed amidst applause from the delegates at the well-attended meeting. He called on members of the Executive Council not to allow what, he called, hysteria and paranoia to underpin reactions to this Ebola outbreak. “What is even more heart-rending and ironical is that no country in Europe, Asia, the Americas, or elsewhere has done to us what some of our fellow African countries have done to us”, Foreign Minister Ngafuan passionately noted. He lifted praises to African countries and members of the international community including some African countries that have contributed cash and kind to assist our fight against Ebola. “Among African countries deserving special mention are the Federal Republic of Nigeria for committing US$500,000 to assist our fight; the Democratic Republic of Congo for recently deploying a six-member medical assessment team to Liberia in advance of the deployment of a larger group of medical experts to Liberia; the Republic of Ghana for committing to assist in airlifting critically needed humanitarian supplies to the worst affected countries; and the Kingdom of Morrocco for maintaining flights of its national carrier, the Royal Air Maroc, to and from Monrovia,” he remarked in gratitude while also recognizing SN Brussels of Belgium. Also speaking during the AU Executive Council meeting, the UN Under-Secretary General and Executive Secretary of the Economic Commission of Africa Carlos Lopes called on African countries putting in place draconian measures that are not medically justified against Ebola affected to think of themselves being under the same measures in a not so distant future as the virus have the potential to spread. He said Ebola can only be tackled through massive investment to address on an urgent basis the contributing factors to the outbreak. “Countries in the epicenter are over-stretched and they need the whole of Africa to put a stop to misinformation and a call for action for a substantial funding of the outbreak control measures”, Mr.Lopes stated. For her part, the Chairperson of the African Union Commission Dr.N kosazana Dlamini Zuma called on AU member nations to ensure that Ebola does not spread to other countries, by implementing effective procedures to detect, isolate and treat those who may be infected and protect the rest of the populations from infections. She also called on member states to be careful not to introduce measures that place more averse social and economic impacts than the disease itself. The AU Chairperson said the commission welcomes the work of the WHO to speed up efforts on treatments and vaccines to halt the spread of Ebola while calling on the scientific community and pharmaceutical companies on the continent, in the Diaspora and elsewhere to work together, even in the absence of a business case for developing treatment and a vaccine for Ebola.